Are you artistic? Do you want to make a difference? Do you want to change the world? 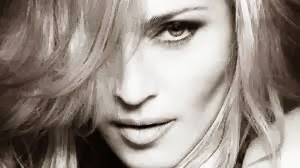 Now the uber, iconic sensation known to fans around the world as Madonna is on your team! a Film by Madonna & Steven Klein! "My goal is to show by the example of #secretprojectrevolution my creative commitment to inspire change in the world through artistic expression," Madonna said in a statement. "I hope my film and other submission to Art For Freedom will be a call-to-action and give people a place to voice their own creative expression to help fight oppression, intolerance and complacency." "WHAT DOES FREEDOM MEAN TO YOU?" START YOUR PERSONAL ARTISTIC REVOLUTION Now! 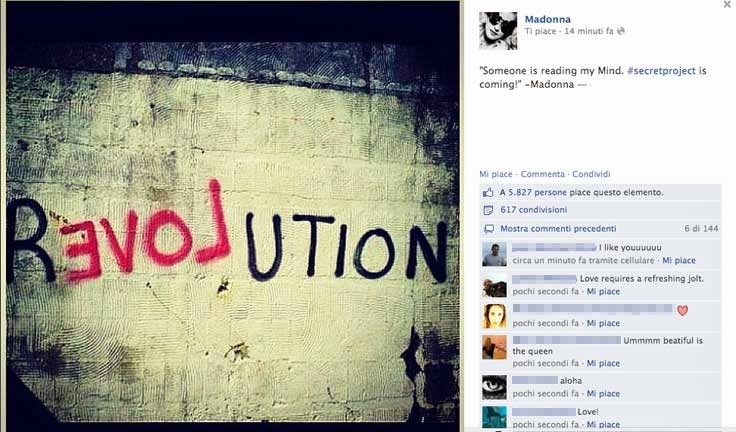 Madonna’s message is important! She is not the only one with concerns. 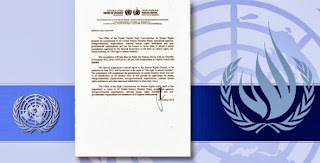 In early 2013 the United Nation’s Human Rights Council released a report that focused on “The right to freedom of artistic expression and creativity. Madonna is already in the cultural history books and will forever be there; an icon for the ages. 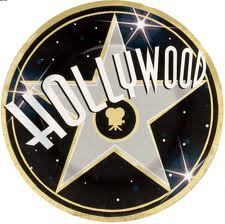 This moment, this day, this week, this month, this year may be your day to become a part of History! More on #ArtForFreedom! Madonna being interviewed by VICE! I will keep this page updated as the Art For Freedom Revolution Unfolds! Take care and I will see you next week! Instructions: First, try to write down the meanings or ideas for each expression. Next, try to guess the meaning from the context. Then ask a friend or classmate. Finally, check out the expressions on the Internet. Now you can check your answers with the vocabulary ideas posted below. commitment to = the state or an instance of being obligated or emotionally impelled (a commitment to a cause). inspire change = inspire: to cause (something) to happen or be created. change: to make (someone or something) different. artistic expression = Art is the product or process of deliberately arranging symbolic elements in a way that influences and affects the senses, emotions,etc. call-to-action = Generally a business expression - 'A call to action' is the section of a marketing or sales message which tries to convince a person to perform a desired action immediately. It is words that urge the reader, listener, or viewer of a sales promotion message to take an immediate action, such as "Write Now," "Call Now," or (on Internet) "Click Here." A retail advertisement or commercial without a call-to-action is considered incomplete and ineffective. 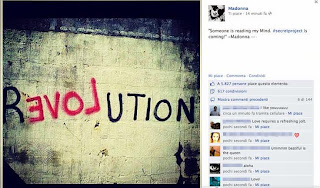 So, Madonna wants you to do something now! give people 'a place' to voice = 'a place': create 'a space'. This place = Madonna's Art For Freedom Internet project. to voice: to voice one's thoughts = to speak/express your thoughts or to speak one's mind; or as Madonna says 'Express Yourself"! to help fight = to help: to aid. fight: struggle against something. oppression = (noncount noun) cruel or unjust use of authority or power. intolerance = (noncount noun) the quality or state of being intolerant. intolerant: (adj) not willing to allow or accept something; not willing to allow some people to have equality, freedom, or other social rights. complacency = (noncount noun) a feeling of being satisfied with how things are and not wanting to try to make them better; a complacent feeling or condition. revolution = (count noun) the usually violent attempt by many people to end the rule of one government and start a new one but in this case the nuance is 'revolution': a sudden, extreme, or complete change in the way people live, work, etc. 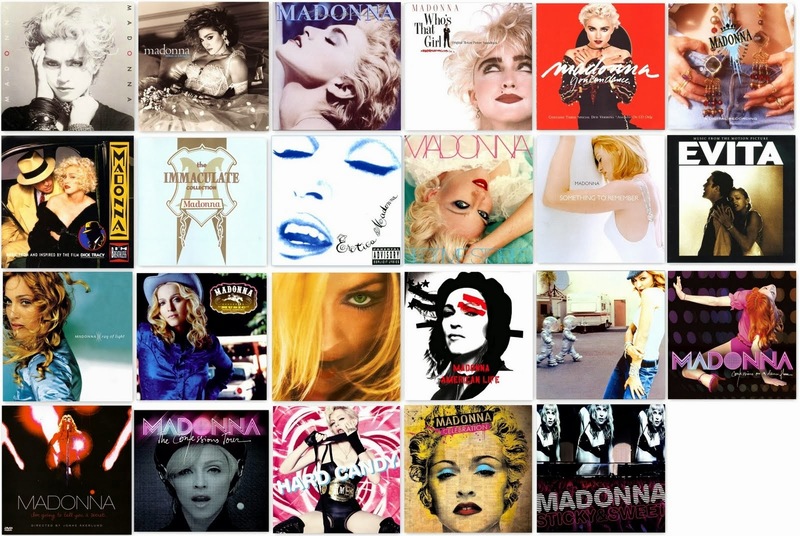 #Art For Freedom = Madonna's title refers to the idea of using art to create freedom. UN = Abbreviation for The United Nations- Official Website Link http://www.un.org/en/aboutun/growing worldwide concern = increasing global worry. artistic voices = (adj) artistic: relating to art or artists expression. voices: people expressing themselves. The underlying motivations = underlying: (adj) beneath the surface; evident only on close inspection. motivations: a force or influence that causes someone to do something. political = (adj) of or relating to politics or government. politics: activities that relate to influencing the actions and policies of a government or getting and keeping power in a government. cultural = (adj) of or relating to a particular group of people and their habits, beliefs, traditions, etc. lie in = is in; is within. economic interests = economic: relating to an economy : relating to the process or system by which goods and services are produced, sold, and bought. interests: used when discussing what is the best or most helpful thing for someone or a some type of group. a combination = an act of combining two or more things. to combine: to bring together; mix. Human Rights = the basic rights and freedoms to which all humans are entitled, often held to include the right to life and liberty, freedom of thought and expression, and equality before the law. free speech = is the concept of the inherent human right to voice one's opinion publicly without fear of censorship or punishment. "Speech" is not limited to public speaking and is generally taken to include other forms of expression. initiative designed to fuel free speech = initiative: an introductory act or step; leading action. designed to: created to. to fuel: (idiomatic) alludes to causing a flame to grow larger; someone or something to move forward when fuel is added. to address = to speak to (a person or group). protest = to protest: to show or express strong disagreement with or disapproval of something. persecution = the act or practice of persecuting especially those who differ in origin, religion, or social outlook. to persecute someone (or group). to treat someone (or group) cruelly or unfairly especially because of race or religious or political beliefs. around the world = all over the globe/Earth. I adore Madonna and everything she does. I'm waiting for her film and your next story, Alex. By the way, can you add some vocabulary exersises to use this post with my students?